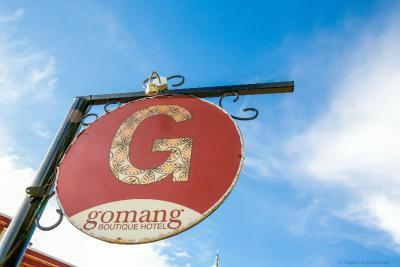 Lock in a great price for Gomang Boutique Hotel – rated 9.4 by recent guests! Great staff. Felt very safe as solo woman traveler. Varun in dining was attentive and I enjoyed speaking with him. Lovely room and view with sound of stream. I like privacy and felt I had that as well as being able to receive the care of staff. So lovely. 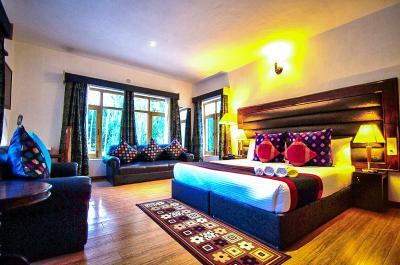 They do a great job combining authentic Ladakh hospitality with western amenities. Staff was outstanding, kind, and generouswith their time. The dining room staff, Neelam and Varun were especially sweet. The manager and everyone at the front desk took extremely good care of us and took care of our every need. They foundus the best and sweetest driver in Ladakh. Food hospitality and staffs concern regarding your health. They serve free water and tea or coffee. One must drink lots of water when at that height and the staff will promptly provide you Bisleri bottles. 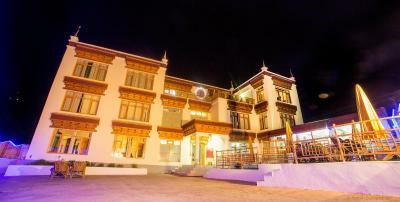 It is perhaps one of the best place to stay at Leh with excellent service, smiling staff always eager to serve you. Delicious food with huge variety prepared in complete hygienic way and cooking process visible to customers all time. Great location and deserves 10 out of 10 grading. The Gomang Boutique Hotel was phenomenal - one of the best hotel experiences I've ever had. The staff are thoughtful and attentive, the food was delicious, and the hotel lounging spaces had spectacular views. When my partner experienced some altitude sickness symptoms, the hotel staff showed loving concern, had oxygen tanks at the ready, and gave us helpful advice on acclimatization. The service was spot on! This is by far the best staff I have experienced in a non-brand hotel (in fact, better!). The hotel staff takes extra care of every need. Special mention to the excellent breakfast and dinner options available at this property. 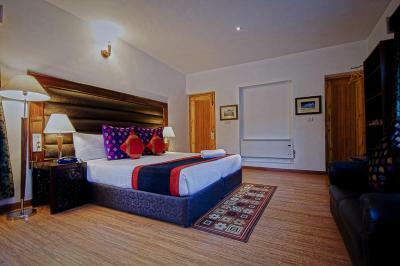 Also - there is ample chilling space on each of the 3 floors with recliners, couches and over a 1000 books to choose from which makes this place ideal to chill in during the acclimatising period in Ladakh. The staff and the owner are very courteous and go out of their way to make the stay comfortable. I went with my 68 year old mother and they even had the machine to monitor oxygen and an oxygen tank. The location is great because it is close enough to the market but still far away from the hustle bustle. 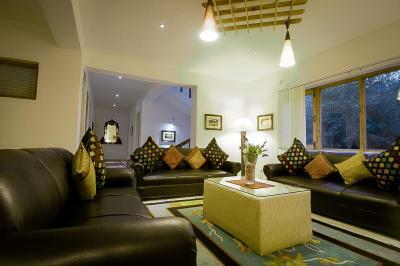 Comfortable and easily accessible property located very close to the airport and the Shanti stupa. The staff at Gomang are very hubmle, polite and extremely helpful. They attended to us very well and took good care of us. 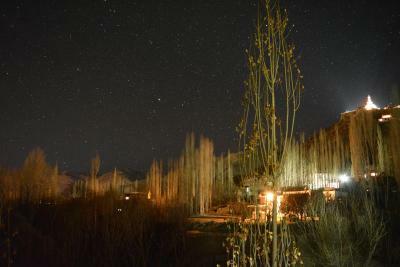 They were very proactive in assisting us with our altitude sickness and also made arrangements for all our travel needs for our entire stay in Leh, event hough we stayed at their property only for 2 days out of our 8 day trip. Fantastic, friendly staff; great location if you want to enjoy peace and quiet but still be in walking distance to shops and restaurants; room was spacious, airy, and clean; loved hearing the sound of the stream nearby. You can't do better in terms of customer service. We stayed at the property for 3 nights, and it's the best hospitality experience I've had so far. The hotel staff is incredibly thoughtful - they even packed breakfast for us for an early morning trip! A 1000 points for thoughtfulness :). The rooms are cozy, very clean and well equipped with anything you may need - a kettle, coffee machine and a TV. It's at a walking distance form the main market as well. My future vacation stays have a high bar to meet now. I highly recommend the property :). Gomang Boutique Hotel This rating is a reflection of how the property compares to the industry standard when it comes to price, facilities and services available. It's based on a self-evaluation by the property. Use this rating to help choose your stay! One of our best sellers in Leh! 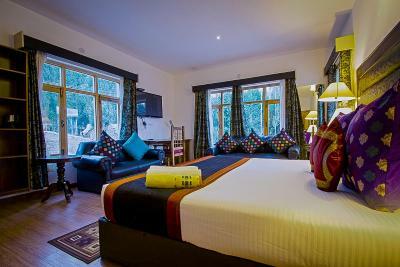 Located just 1.9 mi from the Kushok Bakula Rimpochee Airport, Gomang-Boutique Hotel Ladakh offers comfortable accommodations in the scenic locales of Leh. Free WiFi access is available. Each room here will provide you with a TV, a seating area and satellite channels. There is also an electric kettle. Featuring a shower, private bathroom also comes with free toiletries and slippers. You can enjoy mountain view and garden view from the room. Extras include cable channels. 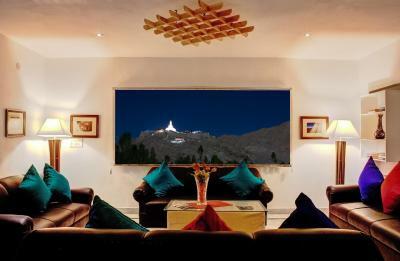 At Gomang-Boutique Hotel Ladakh you will find a 24-hour front desk, a garden and a terrace. Other facilities offered at the property include tour desk and luggage storage. The property offers free parking. 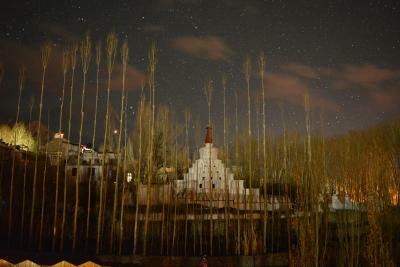 The hotel is 350 feet from the Drepung Monastry and 0.9 mi from both the Leh Palace and Shanti Stupa. The Leh Bus Station is 1.2 mi away while the Srinagar Railway Station is 266 mi from the property. 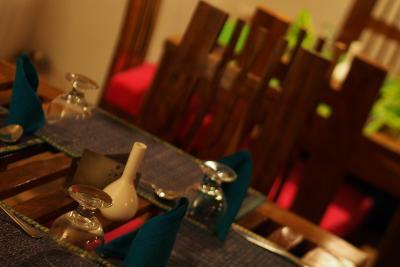 Guests can head to the dining hall to relish the all vegetarian multi-cuisine delights. Room service can be requested for in-room dining comforts. This property also has one of the top-rated locations in Leh! Guests are happier about it compared to other properties in the area. 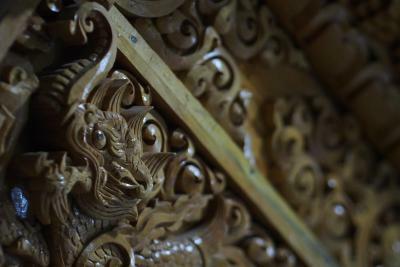 When would you like to stay at Gomang Boutique Hotel? This twin/double room has a electric kettle, sofa and seating area. House Rules Gomang Boutique Hotel takes special requests – add in the next step! 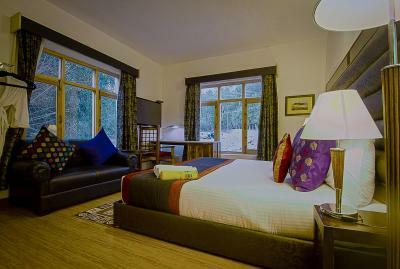 One additional older child or adult is charged INR 2800 per person per night in an extra bed. 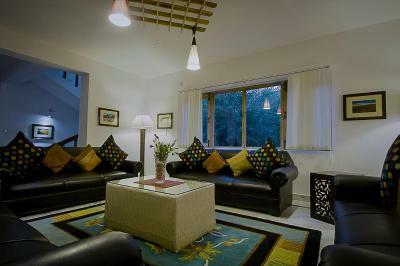 Please note that the property requires a booking deposit of first night to be paid within 24 hours of booking. The hotel staff will contact the guests with online transfer instructions. Please note that alcohol is not permitted in the property. Please note that the property requires 100% of total payment in advance. Please inform Gomang Boutique Hotel of your expected arrival time in advance. You can use the Special Requests box when booking, or contact the property directly using the contact details in your confirmation. We haven't had such a welcoming attitude by management and the team.In room facilities were superb.Food was excellent.What ever we required was taken care immediately by the team.Whatever quantity of water,consumables like tea,coffee,milk you demand is immediately provided.You have an expresso,latte machine in your room,a unique facility in your room. The staff were fantastic, very helpful and communication was easy. The room was clean and comfortable. Food at the property was great. Location is ideal, a short walk from the Center but far enough to be quiet. Breathtaking views of the mountains from the balcony. We will be going back for sure! The wifi is spotty all over Ladakh. Internet could be improved but OK ... it's Ladakh, you want to disconnect really. Excellent place to relax after the trek. Very attentive staff. Bravo to the chef for the pasta! WiFi and check in to improve a bit. Very caring staff. They helped us in making our stay the best possible ever. Nice restaurant. Liked every little bit about gomang hotel...be it the sweet super helpful staff at reception ladeel and makund who were always ready to help for smallest thing u ask for or the restaurant staff nelam thakur, Varun.. everyone for that matter. You wouldn't find desert but if u request for one they would promptly prepare piping hot sweet kheer for you. One must definitely try that. Food is super tasty. One must definitely try kashmiri dum aloo and you would get the richness of the state in the food. Every thing was excellent. There is nothing which I didn't like. Food preparations were tasty & nice. The hospitality at Gomang is unparalleled, they make you feel at home and always ready to offer a Meal.